Join your colleagues for an informative and useful discussion on BookScan data. A representative from NPD (previously Nielsen) will walk booksellers through the methodology for compiling designated market area reports as well as industry bestseller lists. 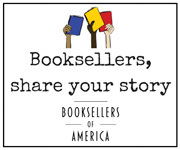 A bookseller panelist will review how this information can be used for increasing sales and better curating inventory, and a representative from ABA will be on hand to answer questions related to the ABA Indie Bestseller lists.